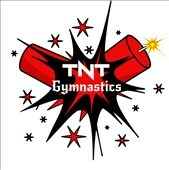 Welcome to TNT Gymnastics and Cheer! Please provide your information below and click submit when complete. Credit cards are NOT charged at this time. All enrollments are considered pending until we have reviewed your registration and posted any fees due. Please utilize all CAPS during data entry. I acknowledge and understand that me or my child's participation in gymnastics training, practice and/or competition subjects me or my child to the risk of serious, permanent and catastrophic physical injury, including paralysis and death with resulting severe economic and non-economic loss. I understand that I have a choice as to whether or not to participate in TNT Gymnastics and Cheer, and I hereby choose to participate with full recognition and acceptance of the risks and dangers associated with participation. I have assumed and will continue to assume all the foregoing risks of participation, and I accept personal responsibility for any damages and/or injury, including but not limited to permanent injury, disability, or death. I hereby release and discharge TNT Gymnastics and Cheer, all agents, employees, officers, shareholders, representatives, persons and entities affiliated with TNT Gymnastics and Cheer, from any and all claims, demands, actions, losses or damages on account of or relating to injury, disability or death, caused by or resulting from participation in gymnastics and other physical and athletic activities at TNT Gymnastics and Cheer. I further waive any claims against TNT Gymnastics and Cheer arising from participation in athletic activities. o	Monthly tuition is due on the 25th of every month and TNT Gymnastics and Cheer reserves the right to modify tuition amount at any time. I hereby give consent to TNT Gymnastics and Cheer to render customary and necessary medical care or attention through qualified medical staff of its choice or arrange for transportation and emergency medical services as needed. I understand that it is my responsibility to obtain and maintain adequate medical/accident insurance and that I remain responsible for the cost of all medical care provided to my child. I hereby grant permission to TNT Gymnastics and Cheer, to take and use photographs and/or digital images of myself or my child for use in promotion and/or advertising. These materials might include printed or electronic publications, websites, or other electronic communications. I further agree that names and identities may be revealed in descriptive or commentary in connection with the image(s). I authorize the use of these images without compensation to me. All negatives, prints, digital reproductions shall be the property of TNT Gymnastics and Cheer. I hereby acknowledge that I have read the above waiver and release and fully understand that I am giving up substantial rights by electronically signing this document. I sign this document voluntarily and rely upon my own judgement in so doing. I further acknowledge that I have been given the opportunity to obtain legal counsel in order to discuss the contents and the effect on this document, and that the decision of whether to engage legal counsel for this purpose is completely my decision. My electronic signature below indicates my unequivocal agreement to the terms set forth herein. If Participant is under the age of 18, the signature of parent or guardian is required. I certify that I am the participant's parent or legal guardian, and that I have read this form, understand the provisions hereof, and agree to be bound by the terms set forth herein, on behalf of the participant and on my own behalf.